Makes my stomach growl... it's also lunch time though. That char is ridiculous. She will be mine. Oh yes! She will be mine. Watch for the Seattle Times Sunday paper for November 15th....Rumor is Delanceys will be on the cover of Pacific Northwest. We happened to talk to the press as we waited in line one night. Now everyone will know!! Molly and Brandon are the BEST! 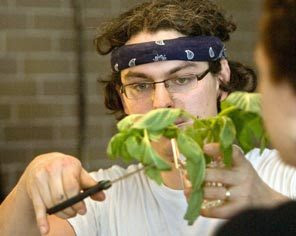 But also think the lines will become like Chris Bianco's in Arizona...Brandon's pizza is better! Thanks for the heads-up, Kimberly! I'll keep an eye out for that this Sunday. So we just got home from Delanceys....Brandon told us who was sitting next to us at the bar....Adam from SLICE blog!!!! We shared a slice of our pizza with him. Always a fun night at Delancey!! Also....still no name on the front of the pizza place. Brandon told us tonight a guy is coming monday to paint it on. 4 cars drove by slowly looking around as we waited in line....we said YES... this is Delancey! That's hilarious, Kimberly. Adam was just here in Portland on his West Coast pizza tour, and he said he'd be heading off to Seattle next to check out Delancey, among other pizzerias. 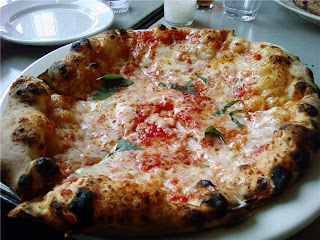 I'm actually in the process of writing up our Portland Pizza Crawl, so that should be up sometime today I believe. Do you live in Portland? Also do you write for Slice? 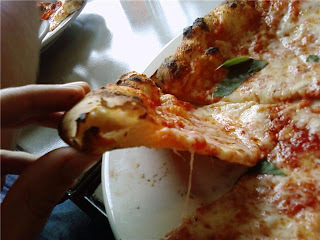 I always seem to stumble upon blogs dealing with pizza!! Also check out the newest blog I found today...called Anticiplate. Kari is the new prep gal at Delancey. Beautiful food on her site and interesing story about her background. Off to Delanceys now...I'm so excited!! Yep, I am currently in Portland. I've talked with Adam Kuban about writing some pieces for Slice, but we'll see if it pans out. The Pacific NW needs some representation!